Ready for a Autumn OR Halloween Themed breakfast? 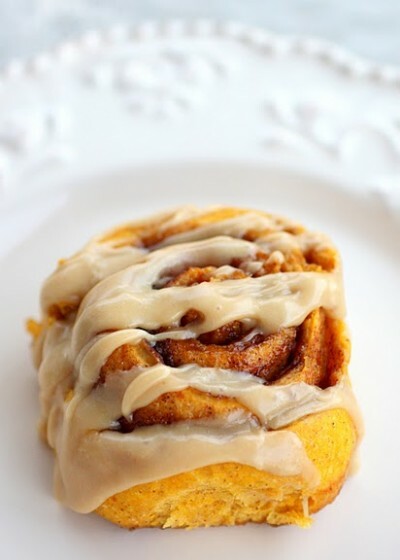 Try Pumpkin Cinnamon Rolls with Caramel Frosting. The Girl Who Ate Everything scored this recipe from one of her sweetest gal pals, Ami. These cinnamon rolls are so heavenly sweet that they taste like candy. If someone served these to me for breakfast, I would probably squeal like a pig without even thinking. That could probably get me in a little trouble.